Oscar to make Premier League debut? Home Matchday Match Previews Oscar to make Premier League debut? Sunday’s inaugural preseason contest provided a good exhibition of football, a feisty encounter between two Premier league heavyweights that are certain to be in and around the top of the table come next May. 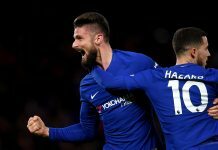 The 3–2 loss to Manchester City at Villa Park does not tell the whole story of a good Chelsea performance tainted by some disputable refereeing and at times, hapless defending. Yet, the Community shield serves primarily as the commencement of the fresh Premier League campaign, where in the opening fixture of our season; the Blues’ will entertain the now somewhat, immortal Wigan Athletic at the DW stadium. There are many positives to be taken from the bout with City, where we were defending well and had gone a goal up from a zealous Fernando Torres in the closing stages of the first half, before a overwhelmed and inconsistent Kevin Friend sent off Branislav Ivanovic for an albeit, physical and unfair, yet in no way malicious and excessive challenge on City wide man Aleksander Kolarov. That set the tone for the second half, and despite the underdog mentality we have become so accustomed too following last season’s Champions league exploits, could not withstand City’s attacking advancements. Torres especially looked sharp going forward, and linked up well with Hazard and Mata at times. Hazard yearned to cut inside, whilst the nomadic Ashley Cole and his outside runs will certainly wreak havoc on team’s right backs in the forthcoming season. Lampard was astute anchoring the midfield three alongside Mikel, whom in contrast looked unready and uncertain in possession throughout the game. 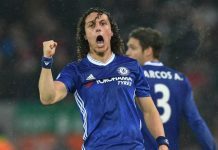 David Luiz, preferred to Gary Cahill alongside John Terry was also a weak link in the back four, naive and rash in dealing with the threat of Aguero and Tevez. The question must certainly be addressed this season as to whether the Brazilian is capable of playing as a centre back in the English game. Personally, I feel that he would be best suited as an anchoring midfielder in games against lesser teams this campaign, his footwork and attacking play is obvious, yet I trust him in no way whatsoever as our last line of defence, stick him in next to Mikel when Lampard is rested and give him less responsibility and more freedom; discuss. City exploited their man advantage, and seemed to have acres of space in the middle of the park at times where we struggled to deal with some good Yaya Toure through balls. Yet Ryan Bertrand’s late goal did signify our fighting spirit, I believe we would have gone on to win the game had the irrational Kevin Friend had kept his itchy fingers out of his pocket. However, the real business begins at 1.30 next Saturday, as the Premier League campaign returns. Who could forget the last time we entertained Wigan on the opening day of the season, a 90th minute Hernan Crespo stunner stained the Latics’ first ever top flight fixture, as Chelsea went on to win the league for the second successive year. Wigan have become infamously frustrating for punters across England since their promotion to the Premier League in 2005, forever tipped to writhe in the lower echelons of the division, always contriving to steal survival in the closing weeks of the season. They beat Newcastle, Arsenal, Manchester United and Liverpool at the death last year to ensure another tentative season battling relegation. Yet, the reputation of Wigan has hampered their ability to appease star players this summer, with Hugo Rodallega and Mohamed Diame leaving on free transfers and few players signed whilst Victor Moses is still the subject of a £9 million bid from Chelsea. Roberto Martinez’ men should not be underestimated, as we have come unstuck at the DW before, who could forget that grinding afternoon in 2009 where we allowed Titus Bramble canter into the area and net against Petr Cech? Grim. It is going to be very important to start strongly this campaign, with Arsenal, United, City and Spurs all viable title contenders this year. To get into the momentum and good form before we play our title rivals is important as we mould our new attacking force into a formidable one. I imagine the team we saw against City is in Di Matteo’s mind as a dimension of his strongest eleven, with Marin and Oscar still to consider for the game against Wigan. Ivanovic’s straight red entails a 3 match ban and therefore I expect the Blues’ to step up their chase for Cesar Azpilicueta, although personally I believe that young Sam Hutchinson could cope at right back against Wigan, and would like to see him get the nod. It all begins next Sunday, and with last season convincing any sceptics that anything can happen in football; who knows what the next 9 months of football could bring us? KTBFFH.